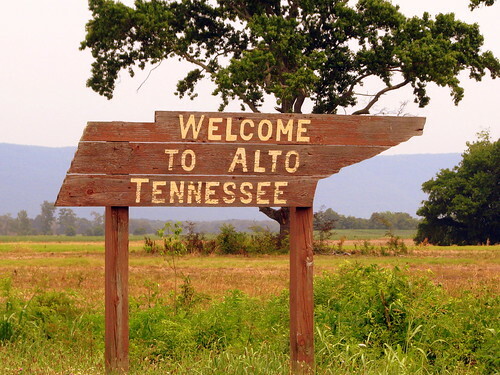 I suspect the most interesting thing about Alto Tennessee is this sign, shaped like the state of Tennessee, along old highway TN50 in Franklin County. With a name like Alto, you'd think it would be on top of something, like the Cumberland Plateau in the background, but it isn't. 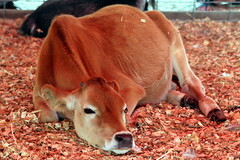 The 2011 Tennessee State Fair has come and gone, and this year was another success as the build for the future while keeping the tradition. 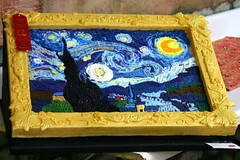 First we have from the baking contests, someone who used icing to recreate Van Gogh's Starry night. 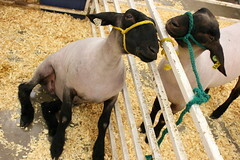 Next are a couple of sheep. 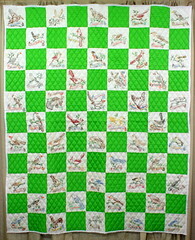 From the Creative arts is a quilt with all 50 state birds, and then a pig. 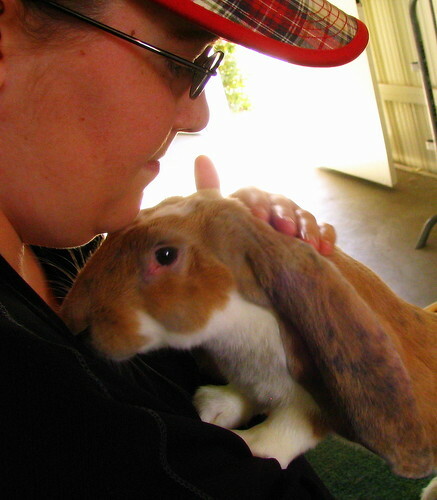 Here we have the fluffiest bunny and the Yoyo ride on the midway. 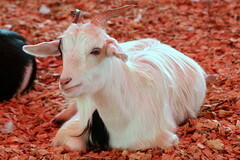 Here are a goat and a calf, both seen at the Petting Zoo. Finally, here is poultry, and the family favorite Banana Derby. 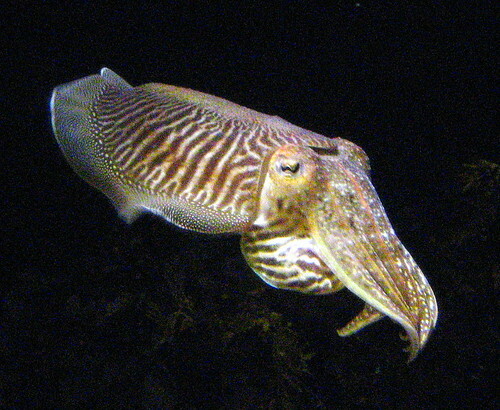 A Cuttlefish is very similar to a squid. Or, maybe it is a squid, I don't know. Chattanooga has one of the nicest aquariums I have been to, especially once the second building opened up. This is certainly not the main attraction, but still something that you don't see every day, and it was one of my favorites. Mt. 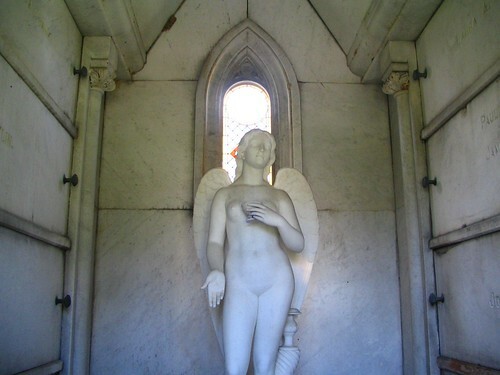 Olivet Cemetery, Nashville, Tennessee. I always wondered what was inside those little house-like looking graves (or mini-mausoleums) at Mt. Olivet, so I picked a name I recognized, and found this statue, surrounded by 8 graves. Adelicia Acklen is important in Nashville History, and lived in the Belmont Mansion. Her land is what makes up the Belmont University campus today. 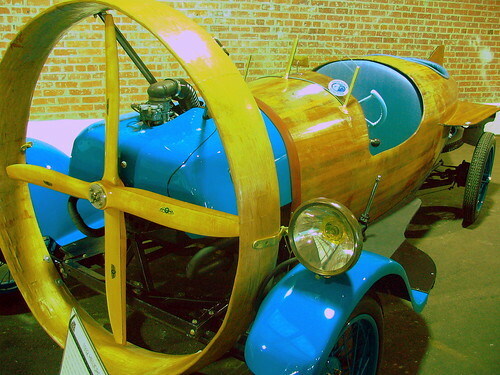 Constructed in 1932, this one-of-a-kind propeller driven car was discovered in a barn in France in 2000 having been placed there by the original owner in the late 30's. Little could be seen of it through the rubble. It was completely rebuilt but many of the mechanical components are original, such as the frame, wire wheels, dashboard, steering wheel, steering gear, brake pedal, light switch, headlights, and the type plate. The wood frame was sandblasted and treated. The steering gear was rebuilt, and the interior was upholstered. The car steers with the rear wheels and only those wheels have springs. It is currently equipped with a Citroen GS engine with the propeller coupled directly to the crankshaft. The Helicron passed the French safety inspection in 2000 and is approved for use on their roads. If you like old card, the Lane Museum is a place for you, as they have all types of vintage European cars. The museum is located in the old Sunbeam Bread Factory on Murfreesboro Road. This is the time of year that all of the agritourism farms all over the place really shine, with their corn mazes and hayrides. 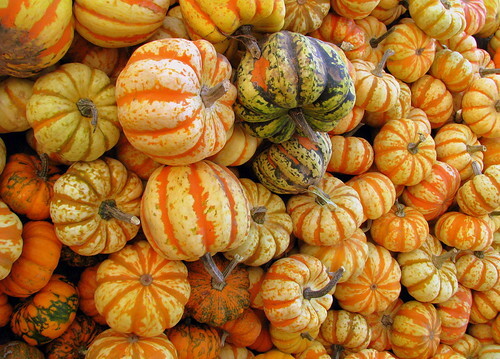 There was a large pile of decorative miniature pumpkins that you could buy at Walden Farm outside of Smyrna, TN. 50 cents each! 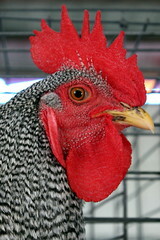 Walden Farms is one of my favorite of these agritourism sites as they don't charge an admission. They do have lots of pumpkins for sale from the small, to the average, to the really large. 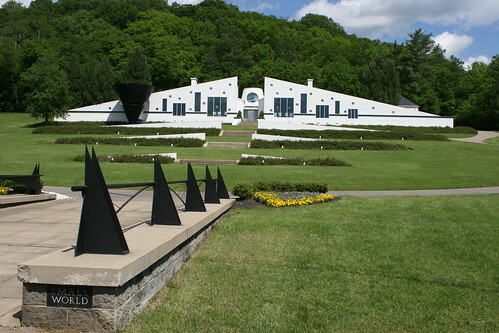 Known to many as the strange looking house near Warner Park, "Small World" is probably Nashville's most unusual design of modern home architecture. The flat triangular design of a house lies along chickering Road, a street that is otherwise lined with more conservatively designed mansions. Contrasting the white exterior is the black cone, as if it were a wineglass and the house is lined with windows of small circular bubbles. The house is owned by Richard and Rhonda Small. (Get the pun?) 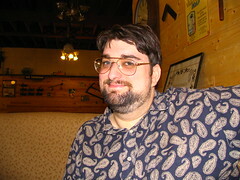 Richard Small is a Nashville Businessman who is the CEO of H.K.Co., a maker of Gauges and valves. Curious what it looks like from above? 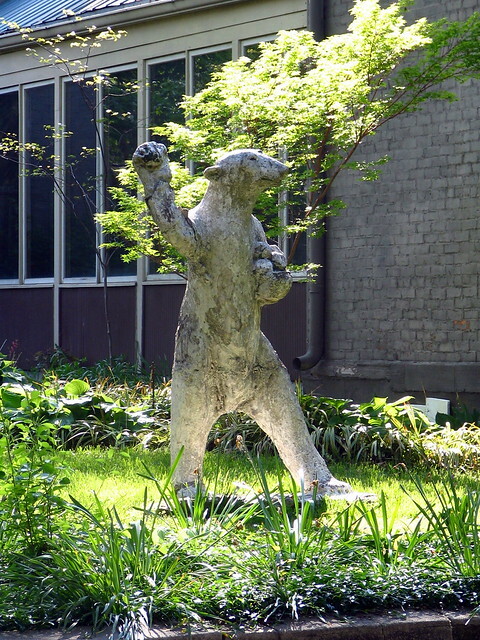 There are two famous polar bears in nashville at the corner of Edgehill and 12th.. Around 2005, those two were the subject of a lot of city talk when the owners put them for sale and the city bought the local "treasures" and put them at that streetcorner. There were originally 4 of them, dating back to an old Ice cream parlor that used them as part of their store decoration. This one, which hasn't been painted lately is in Germantown in the yard of the house next door to Monell's. I do not know the whereabouts of #4. This has been several things over the years, but is currently vacant. 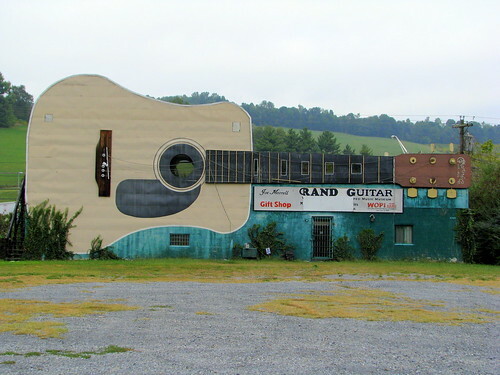 Most recently, it was Joe Merrell's Grand Guitar Museum and Gift Shop. 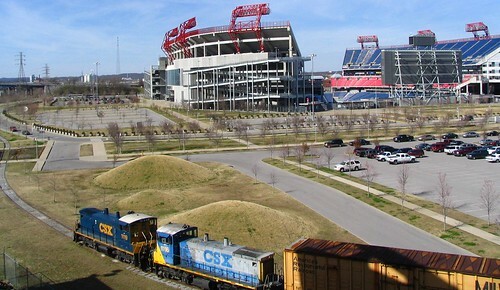 This spot is strategically placed where you can see it from the Interstate, I-81, near the TN/VA border in Bristol. The street in front is US11W. 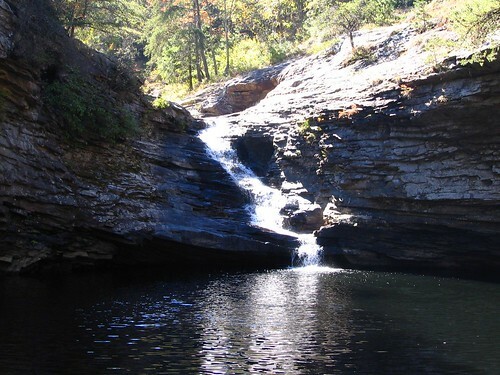 In addition to the thought of seeing seven states, and a bunch of rocks is Fairyland Caverns at Rock City. 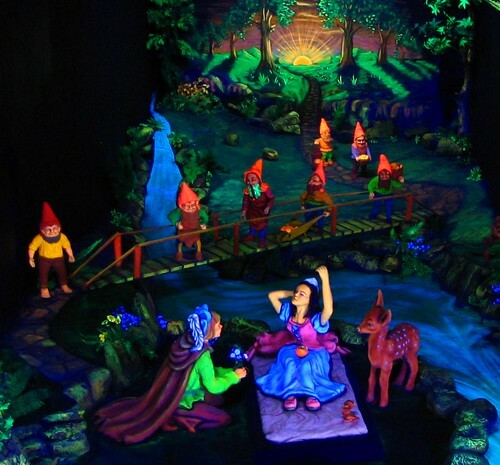 It's essentially this cave with glow in the dark scenes depicting fairy tales, such as this one of Snow White and the Seven Dwarves. I recently had a friend tell me that she went to Rock City at the age of 4 back in the 1960's and the Fairyland Caverns was the only thing she remembers. Freida Carter, one of the original Owners spent six years building the caverns using a lot of gnomes imported from Europe in the scenes. This is located in downtown Chattanooga along Market Street across from the Chattanooga Choo Choo. This building less than a decade ago housed Nick's Liquors. You can see the faded Nick's on the right side of the photo. I assume the Nick's name was washed off. On the other hand, the Ruby Falls logo, which must be decades older appealing to train passengers, was painted to last, except for where the bricks were replaced. The Barn was built mid 20th century pimarily for farm use. The barn was readily visible from the old 11-E highway and quickly turned into a form of advertising for Corner and Central Drug Stores in Greeneville. Progress has moved business and traffic patterns to the new 11-E highway, leaving the barn bypassed by today's population. However, the barn continues to serve as a landmark today, preserving the history of one of Greene County's oldest towns. First Aid Cross: Dr. Annis O. Pickering, Tennessee's first lady doctor. Nolichuckey River: Early transportation "Earnestville"
This courthouse is one of the oldest in Tennessee, dating back to 1845. The courthouse was almost lost to the ages as the city was going to be underwater as the result of a New Deal era TVA lake, but after discussion, FDR had the town saved by an earthworks levy. At some point in the 1900's the courthouse was painted white and the roof and the shutters and tower top were red. In the late 70's the courthouse front was restored to its earlier appearance and the tree planters were added in the front. 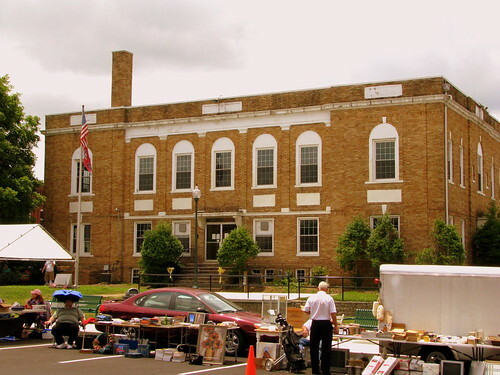 Today, this building is also home to the Jefferson County Historical Museum that proudly displays the 1806 marriage liscense of Davy Crockett and his sweetheart Polly Finley and an eclectic mix of small relics and artifacts of daily life in early East Tennessee. It's near chattanooga but actually in Georgia on Lookout Mountain. 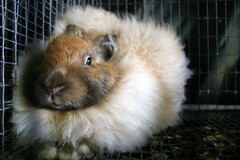 Check out their website at www.lulalake.org. From the lake, the water flows just a little bit more and then there is a much more impressive waterfall. 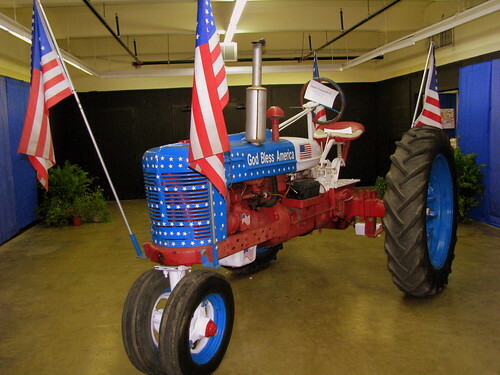 This patriotic-themed 1944 Farmall H tractor was on display at the 2010 TN State Fair. 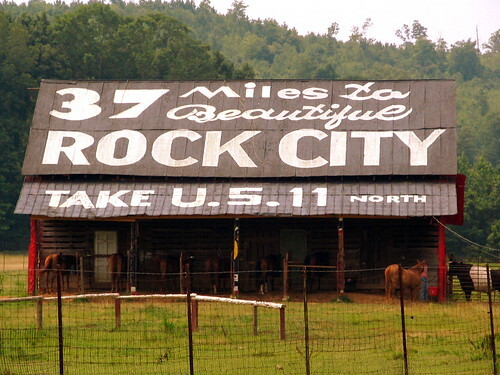 This Rock City barn is located at the entrance to Sequoyah Caverns. 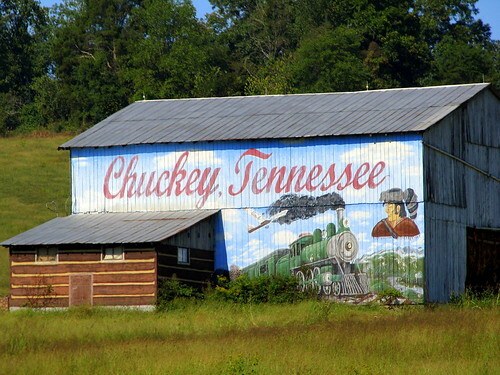 Clark Byers was the painter of Rock City barns for a few decades. When he retired from life on the road, his next venture was to open up Sequoyah Cavers as a tourist attraction. The cave is located on property known as the Ellis Homestead, where the family that has been living here since 1843 continues to farm on the grounds while they greet visitors. Byers, who I suppose still loved to paint, posted a dual message on the family barn. On one side is a simple message letting motorists know exactly where the caverns are located. On the other side, I suppose is a free plug for his former employers, suggesting you see another tourist attraction just a few miles up the road when your visit here is over. I don't know if this is permanently gone, or if it was just open on this day where you can't see it, but when this was originally painted, across the botton was another message with a painting of Sequoyah and inside an arrowhead pointing to the right pointed the entrance only 200 yards away. 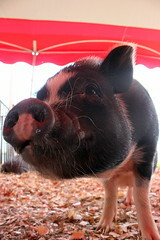 The Lincoln County Fair in Fayetteville, TN started over the weekend and will continue through Saturday. In addition to the typical things to be found at a county fair, the most notable aspect of this fair is it is the only event in Tennessee where you can see harness racing. 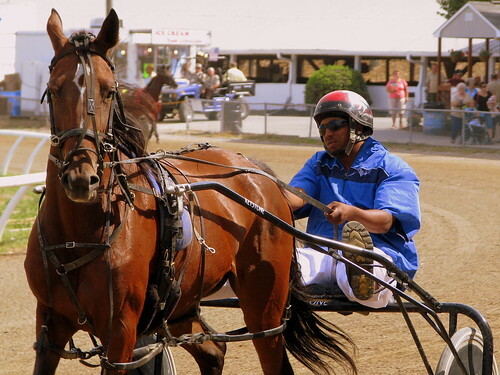 If you've never seen harness racing before, the big difference between this and the more common thoroughbred racing is the horse is harnessed to a two-wheeled cart (or sulky) carrying the driver. 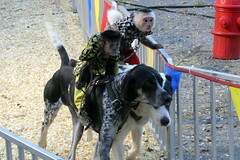 This event is under the oversight of the U.S. Trotting Association. College Grove, TN is a small town in Williamson County along US highway 31A. On March 31, 1860, Dr. Samuel Webb deeded the land for College Grove Methodist Church and a seminary for young ladies. The present Victorian structure was erected in 1888 by T.G. Slate. Memorial windows were added in 1952 and 1984. The steeple was erected in 1983 in honor of the Joe C. Bellenfant family. 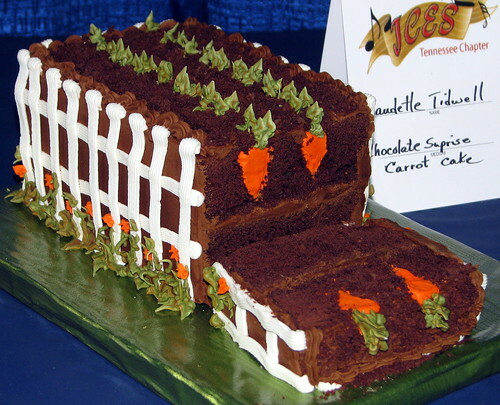 The Tennessee Chapter of the JCES (and I don't know what that stands for) had many wonderful cakes from their members on display at the 2009 TN State Fair. I thought this cake (which is really a chocolate cake) was the cutest. The groups that had the cake displays also give classes. I might as well give them a plug at Sweetwise.com. The State Fair opens today, although I don't know how many cakes and other bakery contests they will have compared to previous years. 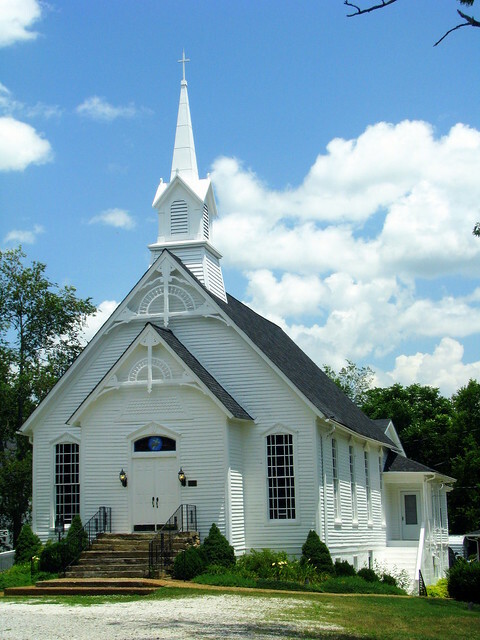 Middle Tennessee is sometimes referred to as "The Buckle of the Bible Belt" as there seems to be a church on every corner. One place that is evident is at the Diana Singing. 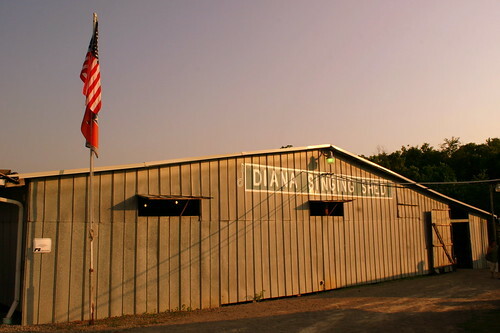 The little community of Diana, TN has perhaps 30 people that live there, near the railroad tracks in the northeastern corner of Giles County. However, twice a year many Christians descend on the small town from miles away for the semi-annual acapella singing, which begins tomorrow. 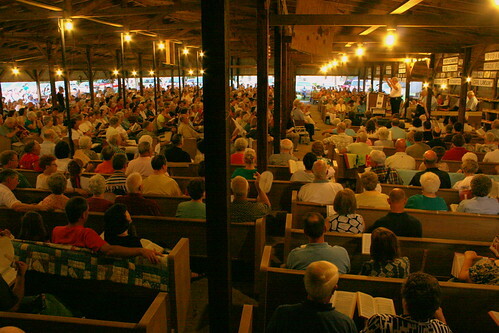 A large shed was built to hold all the singers, but there's always an overflow crowd. Many people drive in with their campers, parking in a large field that stays vacant the rest of the year. 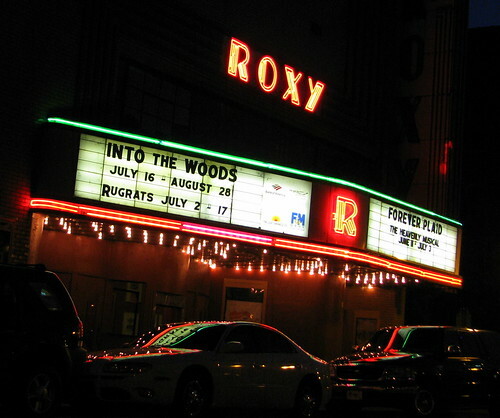 On both the Friday and the Saturday, singing starts at 7:30 pm and lasts into the night as long as there are people willing to stay. (I lasted until 1:15 am.) Starting at Midnight, those remaining seperate into each of the four singing parts so that a special CD can be recorded. The Diana Singing happens every year on the second weekend of June and September. This is their 42nd year. Curious what that sounds like? Here is "Salvation has been Brought Down"
Also, here is the youtube videos of "Our God, He is Alive"
Along US441 in the touristy area of Cherokee, NC, this motel appears to be one of the better maintained non-chain motels of the area (despite the rustiness of the sign). I guess more people enter the Smoky Mountains from the Gatlinburg side than at any other entry point, and Cherokee is on the other side from there along US441. 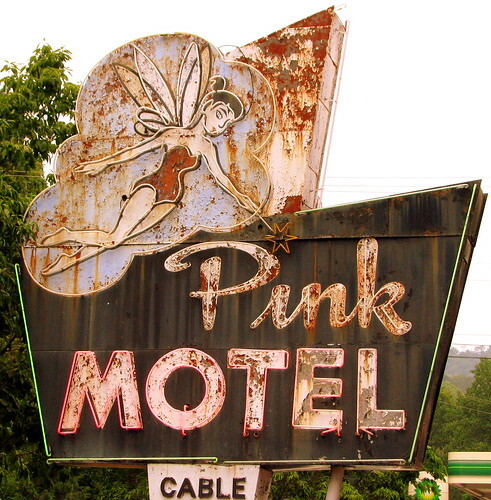 If you are a fan of the golden age of roadside tourism, Cherokee's attractions may be more well preserved than Gatlinburg's, as many places on the Tennessee side have been torn down and replaced with more modern hotels, attractions and gift shops. 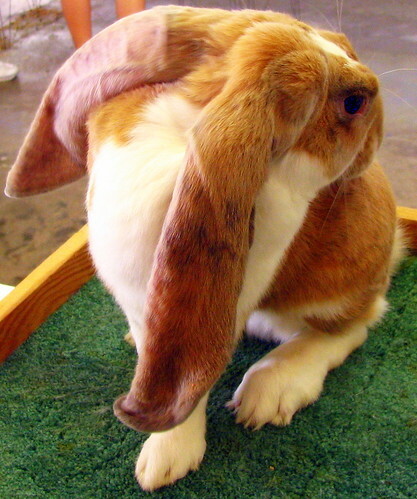 All kinds of rabbits, those with short ears, those with long ears, those with floppy ears that fall down and those with ears that stand up, will be on display at the Rabbit Barn at the Tennessee State Fair. 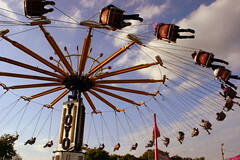 The fair runs from this weekend to next weekend. Apparently, once a month on a Saturday morning, the locals gather on the east side of the square for a swap meet. I was just there for a photo of the courthouse, but I did buy an old green soda bottle off the table in front of the maroon car. 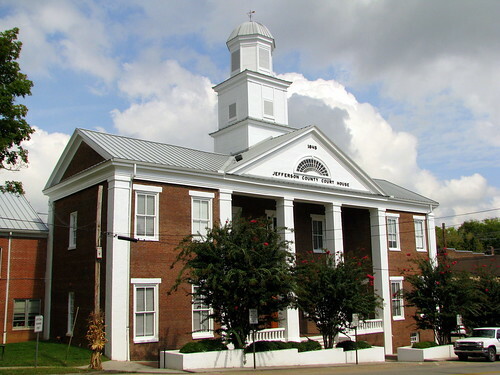 The Hickman County Courthouse is located on the town square in Centerville, TN. This is the 5th courthouse in Hickman county and a new one has opened not far from here. 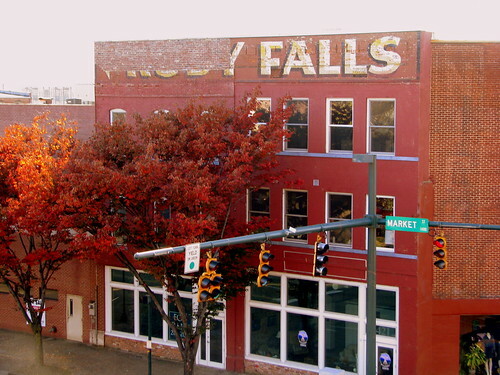 It was built in 1926 and is a two story brick building with a full basement. On the day I'm writing this, I've been through Centerville four times in the last five years. 5 years ago, I stopped only to get a picture of the Minnie Pearl Statue which was new at the time. On my second visit in the summer of 2008, the statue had become a controversial topic, as too many people were stopping in the town square to get a picture, like I had, and were impeding traffic. 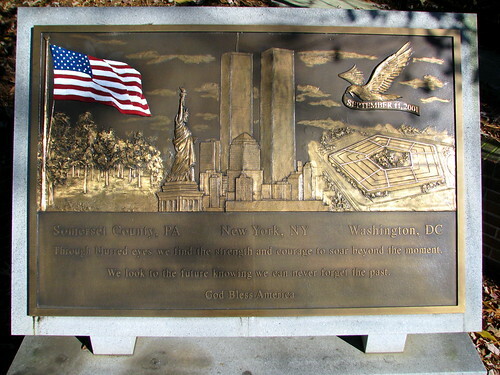 By the time I made my 3rd visit a year later, the statue was gone and the traffic pattern of highway 48 and highway 100 was updated from going all the way around the square to just on the west side. One more Centerville note, in less than a month, On October 1st will be the National Banana Pudding Festival. 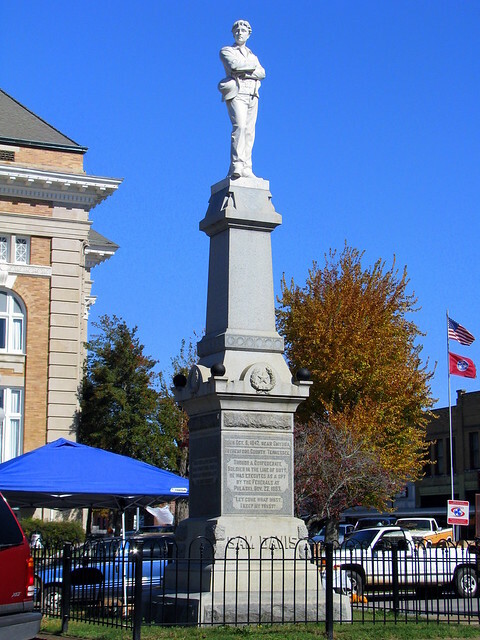 The Sam Davis Monument on the south side of the square, was erected in honor of the young "Boy Hero" confederate scout who was captured on the old Lamb's Ferry Road south of Minor Hill and executed in Pulaski on November 27, 1863. The monument was erected through the joint efforts of the John H. Woolridge Bivouac and the Giles County Chapter of the Daughters of the Confederacy and cost $2,000.00. The same Italian sculptor who carved the figure marking the grave of Governor John C. Brown in nearby Maplewood Cemetery carved the statue. The monument in front of the ornate courthouse cupola was dedicated October 11, 1906 as a part of the program of the Confederate reunion which met in Pulaski at that date. Speaking of the courthouse, a diffeerent courthouse would have made the backdrop when the statue was built, the same one seen in a famous civil war photograph. In that photo, many citizens are lined up along the street when Sam Davis was to be hanged. That courthouse burned down in 1907, and the current courthouse was completed in 1909. The UT Vols start their football season, and this is the way I thought I'd commemorate the season. 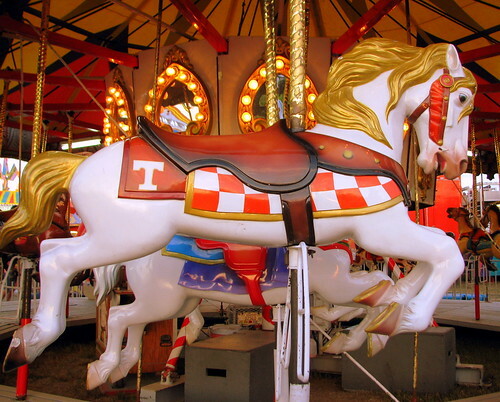 This carousel was seen at the Lincoln County fair in Fayetteville, which starts next weekend. 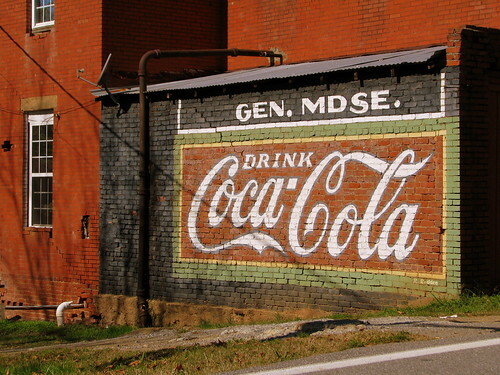 If you drive along the "Old Dixie Highway" or "old US 41" going northbound through Adairsville, GA, you will see this old restored Coca-Cola mural. This building is now the Bogle Dress Shop, but at some time, it used to be someone's General Merchandise store. The building is called the Bogle Dress Shop building, but in reality that was long, long ago. The building is now empty, but this coke sign is from before the dress shop, when the building was, as you say, a general store. The sign was restored during the mid to late1990's as part of the Historic Downtown Adairsville restoration project. One of my favorite places to eat is Karin's Kustard in Smyrna, TN. It's an old fashioned with great burgers and custard. Where else could I get Mello Yello mixed with lemon custard? Mmmmm. I drive by there most every day on the way to work and church. A couple of days ago Their sign said they'd be closed for a couple of days. Today as I drove by, I noticed a neon sign being put up and I wondered if the place was being remodeled. Then, tonight as I was driving home, from a distance I saw bright lights. As I drove past, I noticed something was being filmed. Since I had nothing better to do, I went home and got a camera so I could take a couple of pictures, with a night-time camera drive by. As I tried to drive by, A couple of cops came out to stop me. It turns out they were filming a couple of guys getting on a motorcycle and driving onto the street, when they didn't need me in the shot. I found some other people who also had nothing better to do who had set up lawn chairs across the street and were watching. I pulled up and asked if they knew what was up. They are filming Nicole Kidman's newest film Stoker. 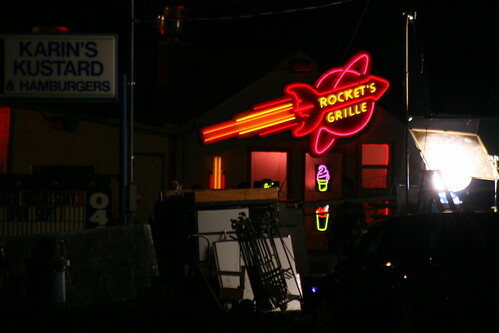 Karins is located next to some old train tracks, so in the next scene, they had a fake-but-lights-up-and-sounds-real train come through. The last time I saw a movie being filmed in Smyrna, they invited townsfolk to come by and be zombies in a horror film.